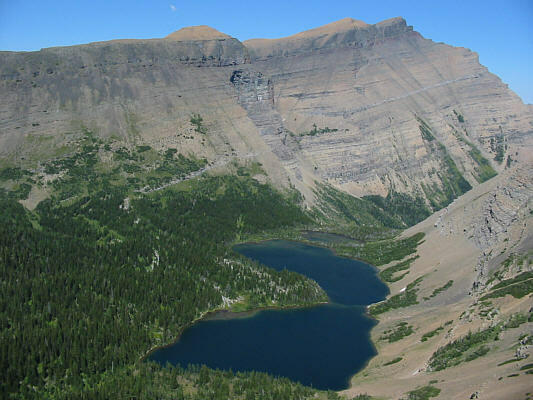 Dan Millar, Kelly Wood and I hiked up Mount Lineham via Lineham Ridge Trail in Waterton National Park on 31 July 2005. Hot weather and pesky horseflies made the long trudge up to Lineham Ridge seem even longer, but a stiff wind above tree line alleviated all misery for the remainder of the ascent. Returning the same way, Kelly and I inexplicably wandered off-route shortly after leaving the summit, and we had to endure some annoying side-hill bashing to get back on track. 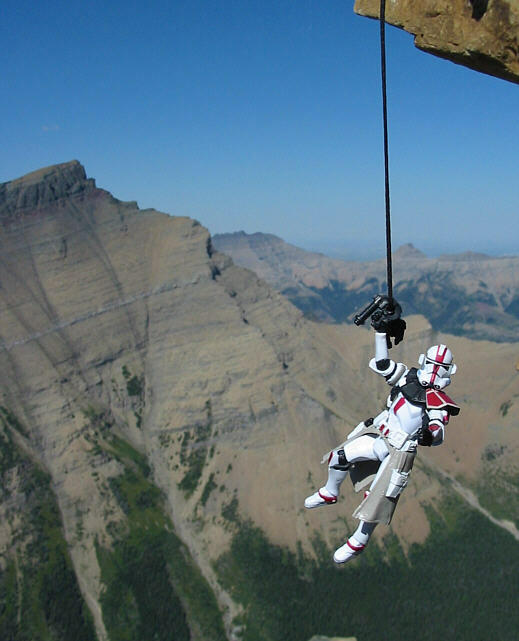 The rest of our descent was uneventful though the bugs and heat were no less oppressive. Our round-trip time was a very leisurely 7.5 hours. 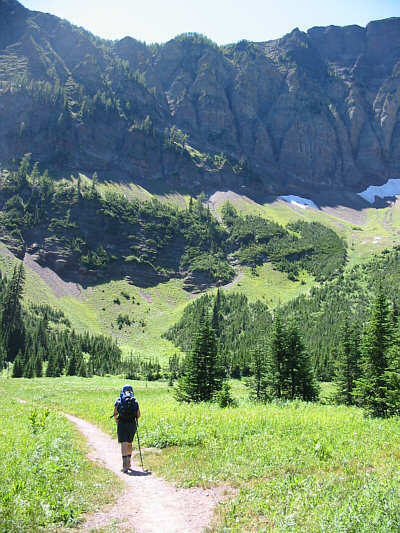 The trail heads up and to the right at the far end of this meadow. 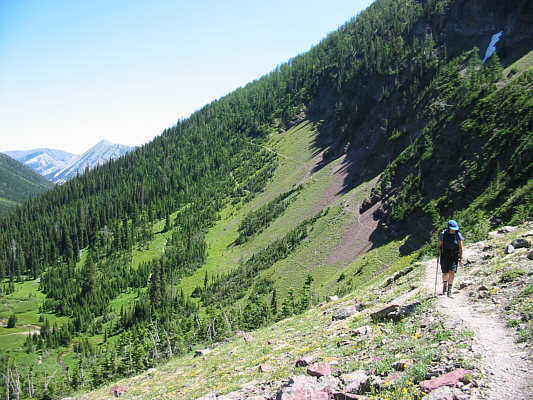 Kelly climbs up Lineham Ridge Trail. 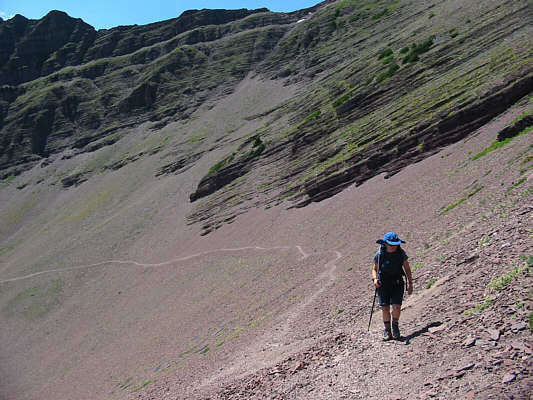 The trail to Upper Rowe Lakes is visible behind her. Kelly keeps climbing up Lineham Ridge Trail. 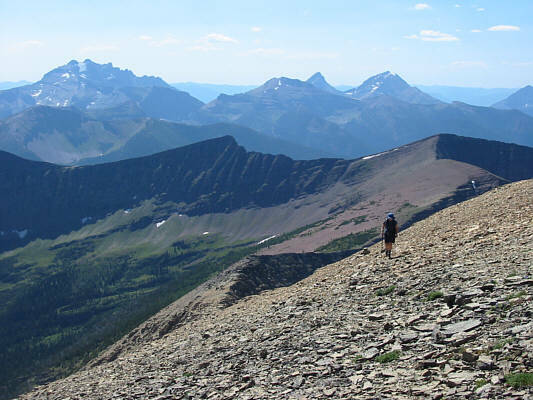 This is the view of Mount Lineham from near the crest of Lineham Ridge. 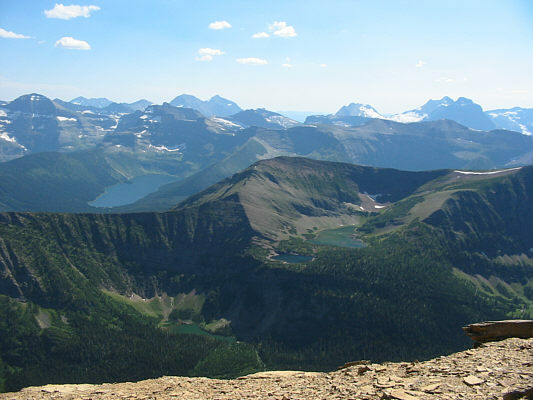 Here are some of the Lineham Lakes with Mount Blakiston in the background. Kelly takes the last few steps before the summit. 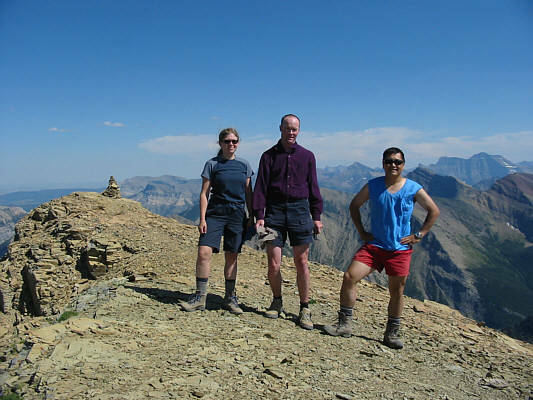 Kelly, Dan and Sonny stand on the 2728-metre summit of Mount Lineham. To the right of Sonny on the horizon is Mount Cleveland. 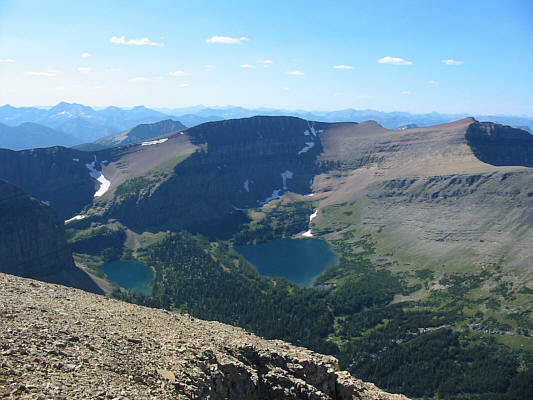 From the summit, the view to the south includes Lower and Upper Rowe Lakes, Cameron Lake, Chapman Peak, Mount Custer, Forum Peak, Akamina Ridge, Agassiz Glacier, Kintla Peak and Kinnerly Peak. 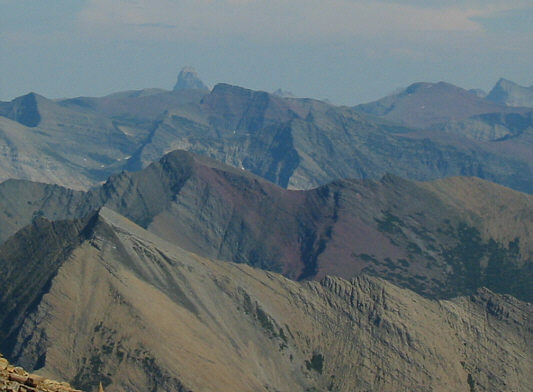 To the southeast, the prominent peak on the horizon is Chief Mountain. 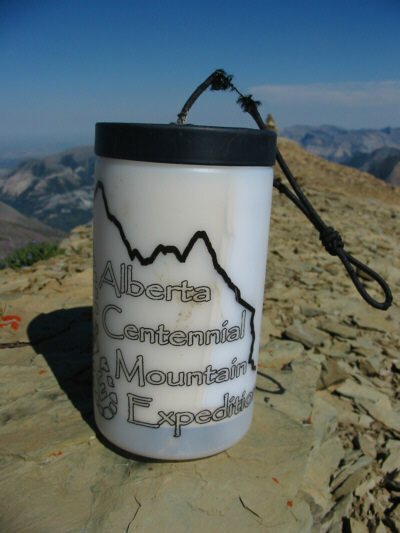 This is one of the new register containers for the Alberta Centennial Mountain Expedition project. 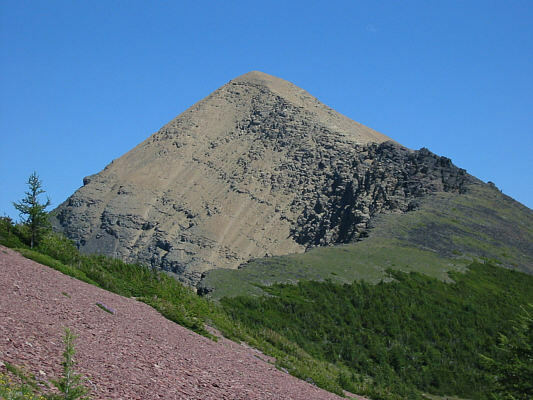 It was placed on Mount Lineham's summit on 16 July 2005. A couple more of the Lineham Lakes can be seen in this view to the west. Mount Hawkins is the peak at far right. 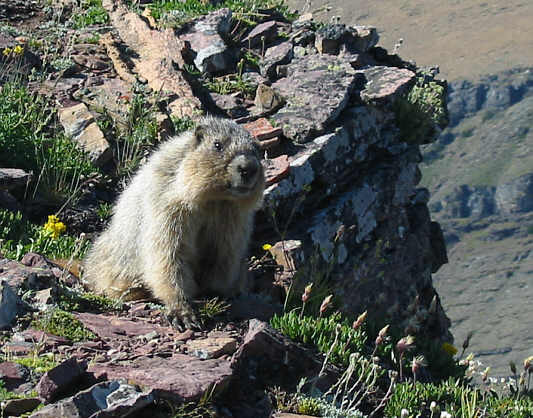 This hoary marmot is no stranger to camera-wielding hikers. 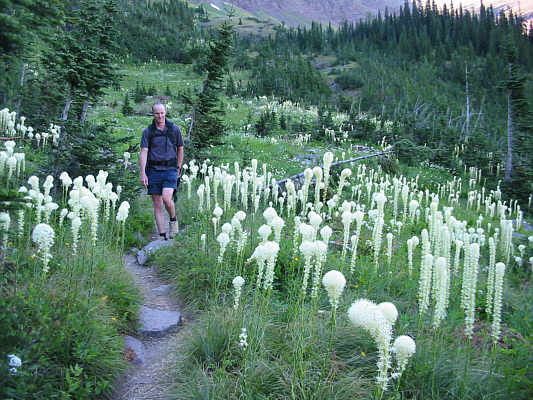 Dan hikes through a field of bear grass (Xerophyllum tenax).